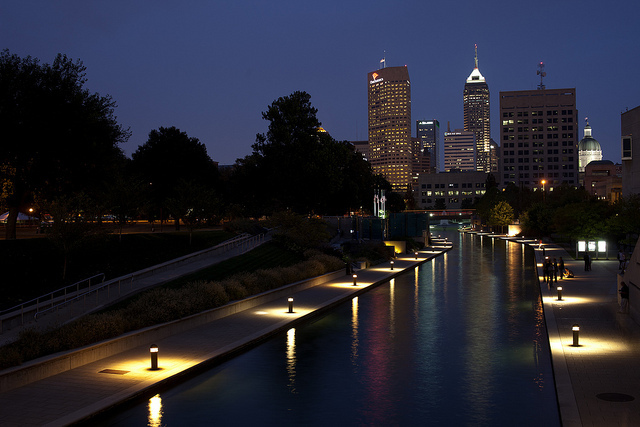 As the capital city of Indiana, Indianapolis is a great place to stay while you’re in the state, and there are plenty of options for all budgets. We list the best hotels, hostels, bed and breakfasts, and penthouses in downtown Indianapolis. The Omni Severin Hotel is the longest running hotel in downtown Indianapolis. The atmosphere is of 1900’s grandeur but the amenities, service and accessibility are all very modern. It also has a well-equipped fitness center as well as an indoor heated pool, which is excellent. The Columbia Club is a private club in downtown Indianapolis that was established in 1889. Membership to the club offers access to any of the five private dining restaurants, personal training sessions and massages in the health club as well as the option to stay the night in any one of the well-appointed rooms. You can also benefit preferential room rates as a member. 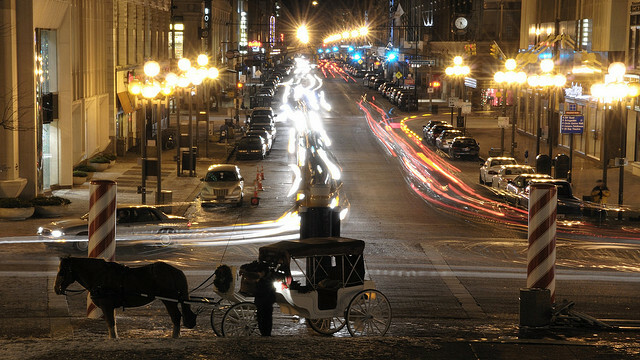 The Harney House Inn is conveniently located close to downtown Indianapolis. The suites are large and very comfortable. Harney House Inn delivers a seamless, professional experience, and makes a great city base. Nestle Inn offers a good spread of amenities for visitors. Services include wifi, a flatscreen television in every room, business services, free parking and even a coffee maker in the rooms for those mornings when you wake up and need a quick caffeine hit. A rental property can be a great choice, especially for a longer stay. There are three rental properties to choose from at Indy Luxury Rentals. The Victorian Home is a two-storey home with four bedrooms, three bathrooms and a modern kitchen. The Penthouse has two bedrooms, two bathrooms, and a private entrance. Last but not least is the Carriage House, featuring two bedrooms and three bathrooms. Plus, the outside garden offers a fire pit, grills, fountains even a putting green. Just outside of Indianapolis in Broad Ripple Village, the Indy Hostel is an ideal place for travelers, stopping through the city briefly. It is among the best and cleanest hostels in the United States; their guest service skills are raved about because of their friendly, helpful and welcoming attitudes. There are six different rooms to choose from and there is free wifi, free luggage storage, laundry facilities, and the chance to book bus or airport pickups. Among the bed and breakfasts in Indianapolis, Stone Soup Inn has real charm. It is located in the center of the historic district, the Old Northside. A stay here includes complimentary snacks and drinks at the Butler’s Pantry, an on call massage therapist and floral arrangements upon request. Located in the heart of the Old Northside neighborhood is the Old Northside Bed & Breakfast. The house is filled with artwork from all over the world and guests can also enjoy free guest services, such as private parking, cable television, soft drinks and wifi. Only 11 rooms are available to book at the Fountainview Inn and all can be rented for a long or a short stay. Each of the rooms have a private bathroom, a kitchenette, and a comfortable living area. The Piccadilly Penthouse offers incredible hotel amenities such as a bar and lounge, 2,300 square feet of conference space, free Wi-Fi and free parking.